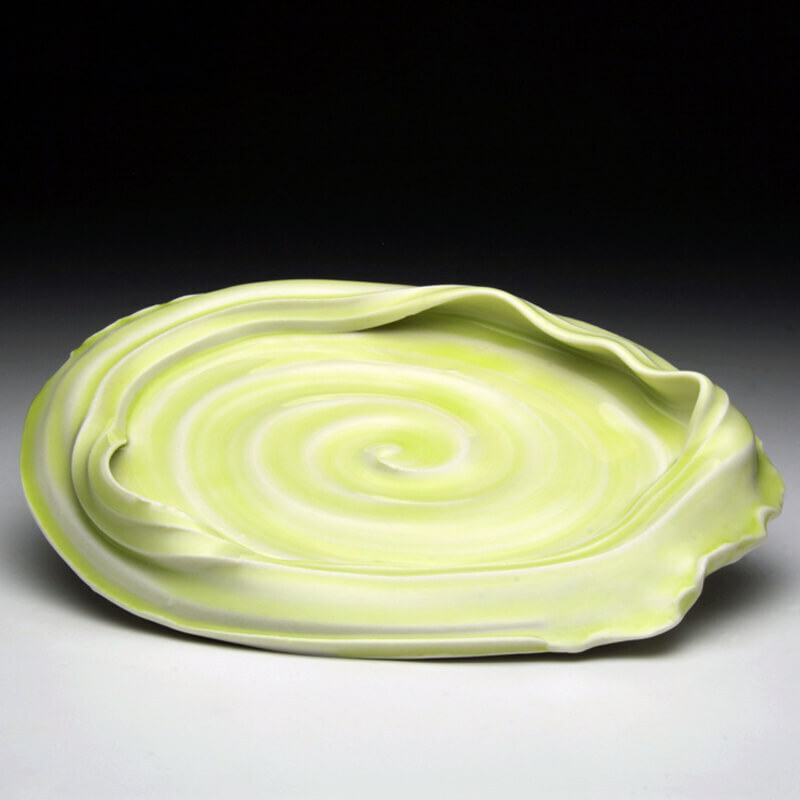 Mariah Addis is a ceramic artist born and raised in Tulsa, Oklahoma. Addis spent two years at the University of Central Oklahoma, before transferring to the New York State College of Ceramics at Alfred University where she is currently pursuing a Bachelor of Fine Arts. As she continues into her last year of undergrad, her studio practice has begun to include investigations in large sculptural vessels. I make pottery using tactics of call and response. A playful conversation between the clay and me gives room for creative invention. Improvisation in the process is an important activity; generating ideas that give rise to sculpture. Through my process of forming, I explore the notions of the vessel by investigating a variety of avenues of composition. Beginning on the pottery wheel, I throw following a line in space to generate volume. Instead of creating a completed form on the wheel, I throw, cut, and alter cylindrical shapes to create potential opportunities for the building process. Working with an inventory of these shapes, I respond to their qualities, and construct the forms into vessels. Building upon the formal complexities of the vessel, I use line, plane, and volume to investigate composition. I am interested in how ceramic objects are transformed through changing relationships of interior and exterior. The surface of my vessels is a critical component of how my work employs material gestures that stimulate movement. Through my work I explore the orientation and posture of a sculpture.